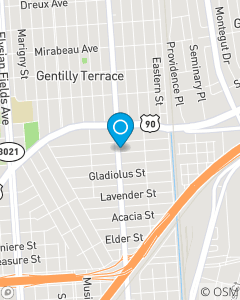 2 Blocks South of Gentilly Blvd. Corner of Franklin Ave & Jasmine St.
Our mission is to help people of New Orleans manage the risks of everyday life, recover from the unexpected, and realize their dreams. Also, we believe there is more value in helping individuals find discounts they may be loosing unknowingly or unnecessarily than in picking winners and increasing risk.